Fidget Spinners for All Ages! Fidget spinners are still all the rage and have become quite popular with adults, too! 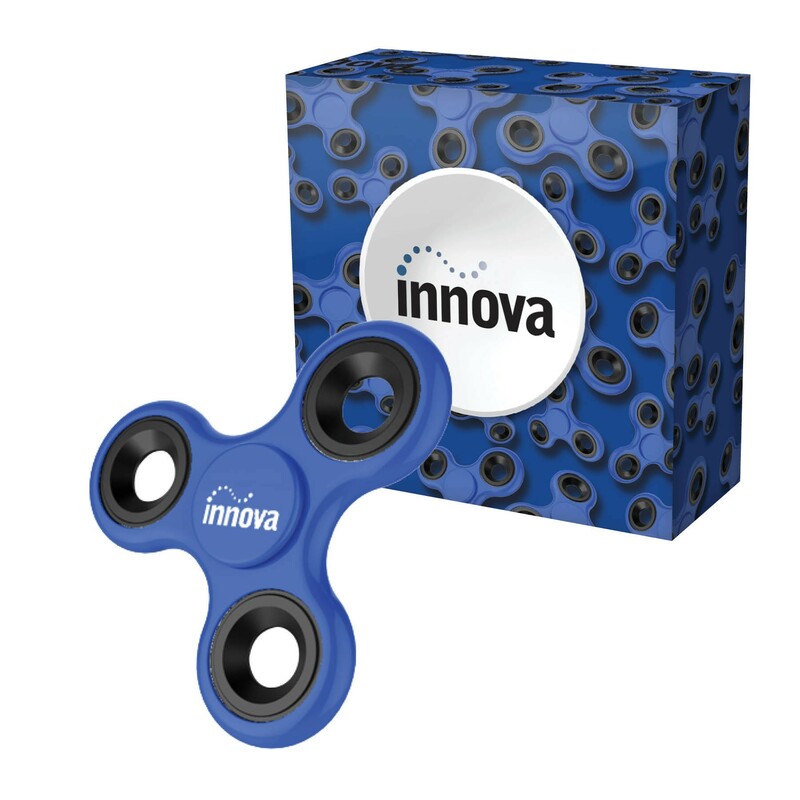 When you give a fidget spinner printed with your brand, you are showing that your company wants to share the fun of working together - and that says a lot! 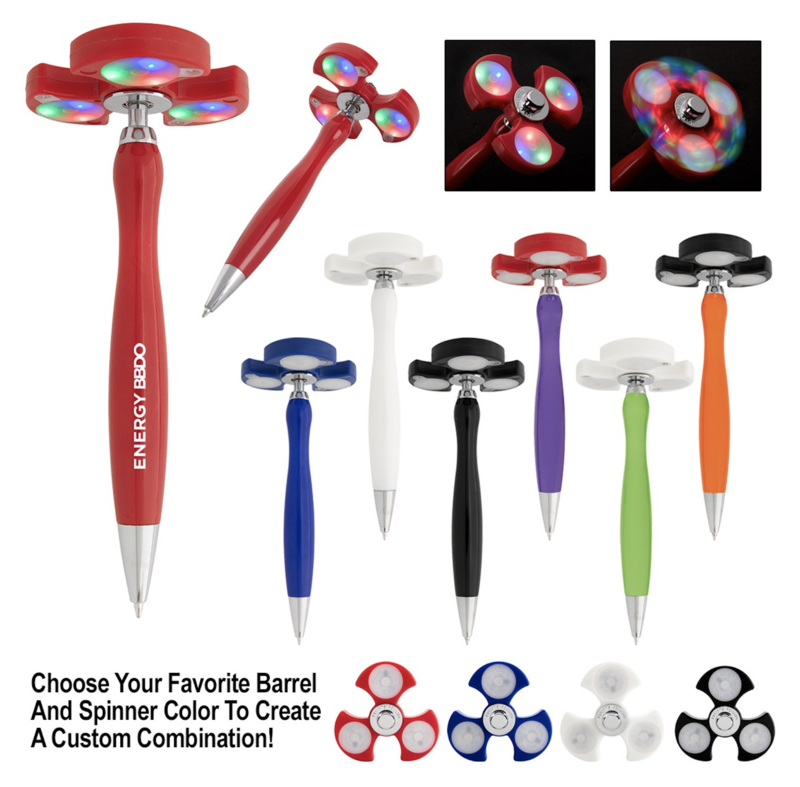 Custom branded fidget spinner gadgets are evolving into desired executive gifts as well as simple giveaways at trade shows. Take a look at our selection of the more popular fidget giveaways below. 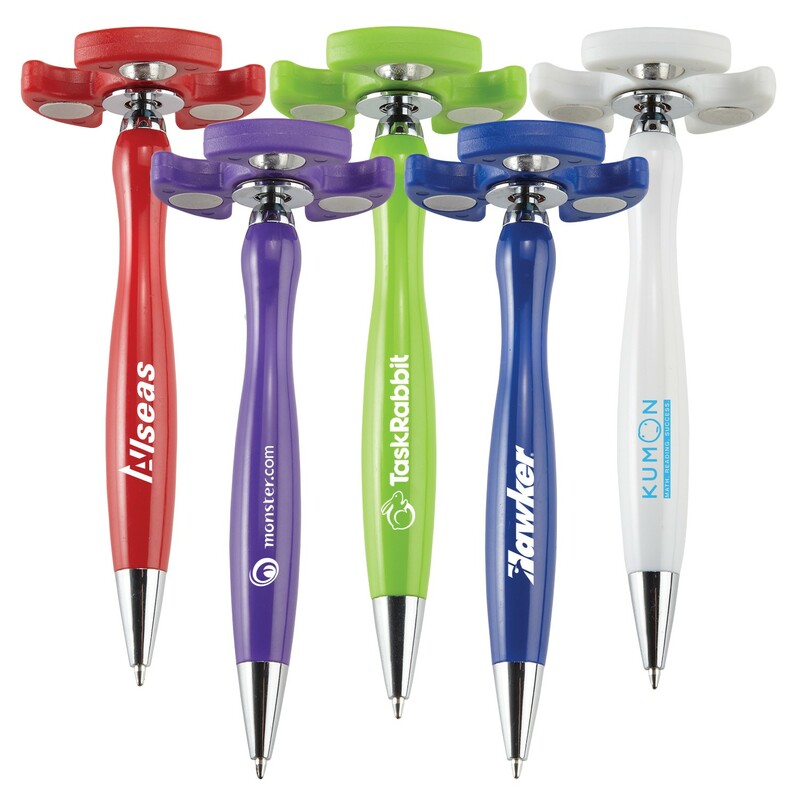 Lighten up a boring meeting, or wake up the 'after lunch' seminar, by passing out these cool custom printed fidget spinner pens! Your brand will long be remembered with your logo printed on the barrel or top. Everybody loves to fidget! 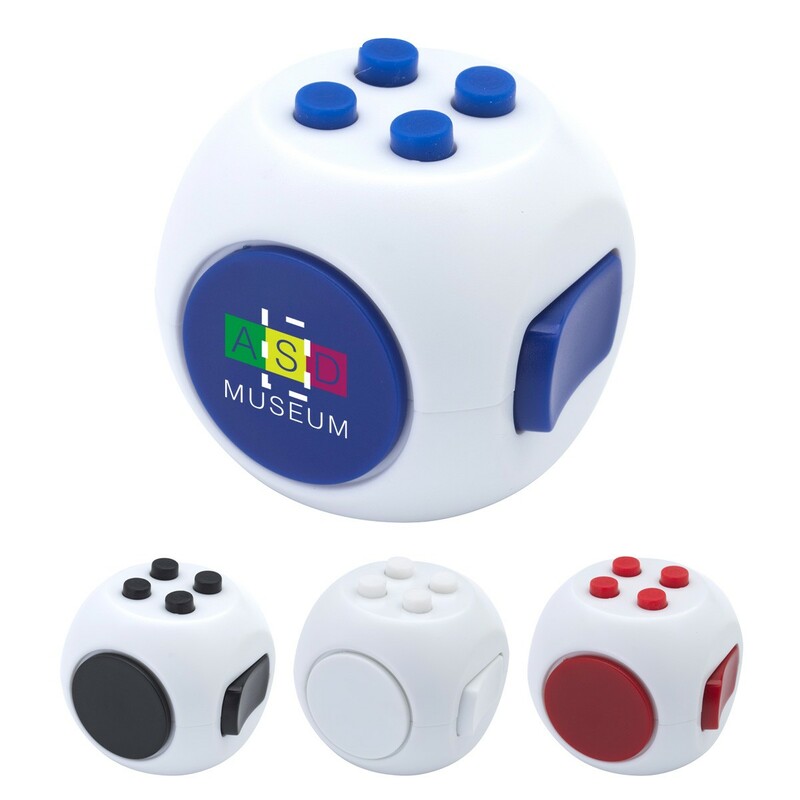 Print your logo on any of these great fidgety giveaways. 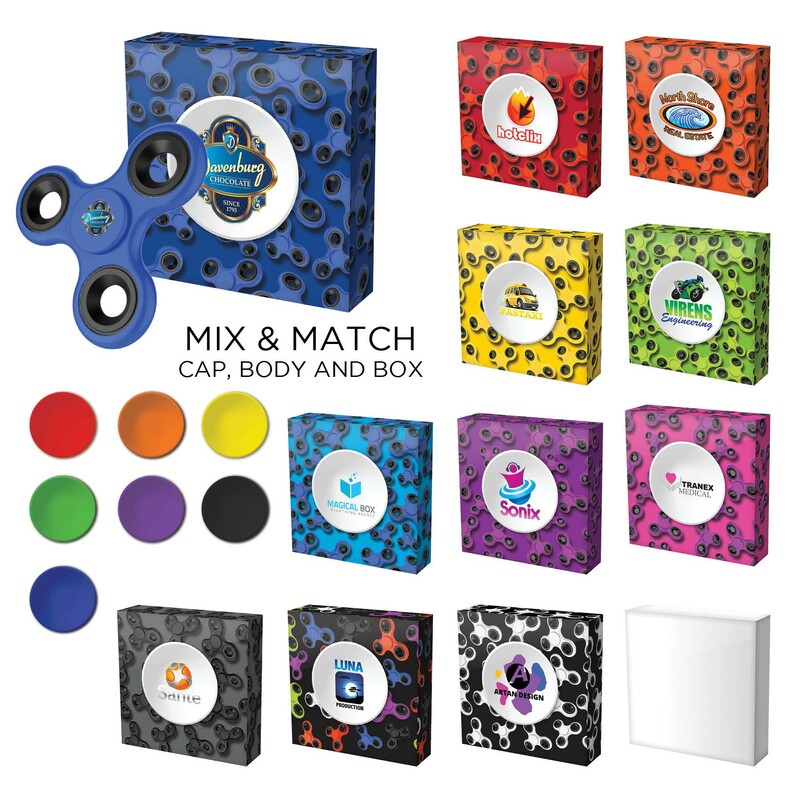 Design your own branded fidget spinner with a matching custom box! 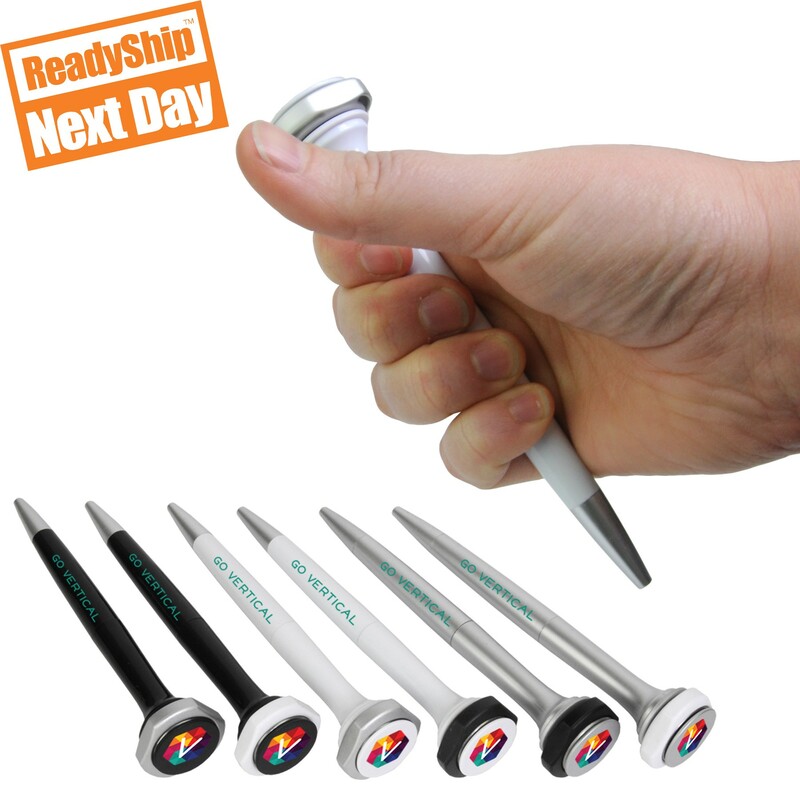 Choose from 7 colors to mix and match body, cap and box to your brand! 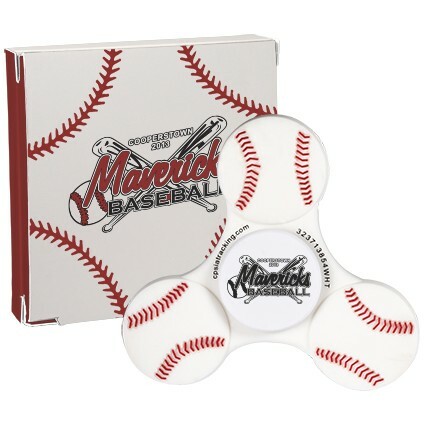 We print your logo both on the spinner AND on the custom printed box for a great giveaway with professional presentation. 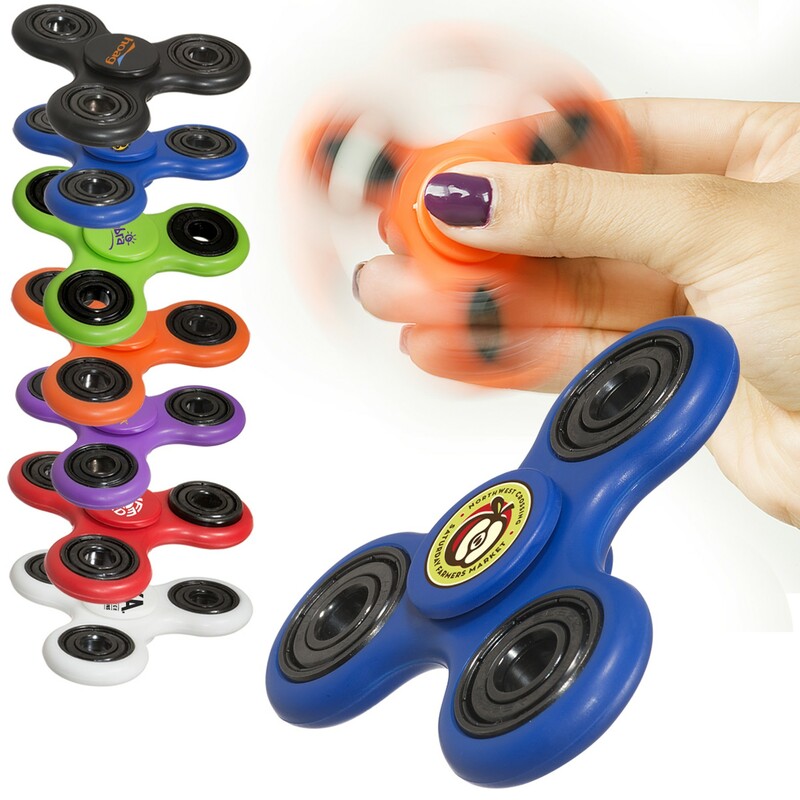 This branded spinner will spin for a whopping TWO MINUTES to keep even the fidgitiest fidgeter entertained! Custom printed packaging is available for many of our promotional items. 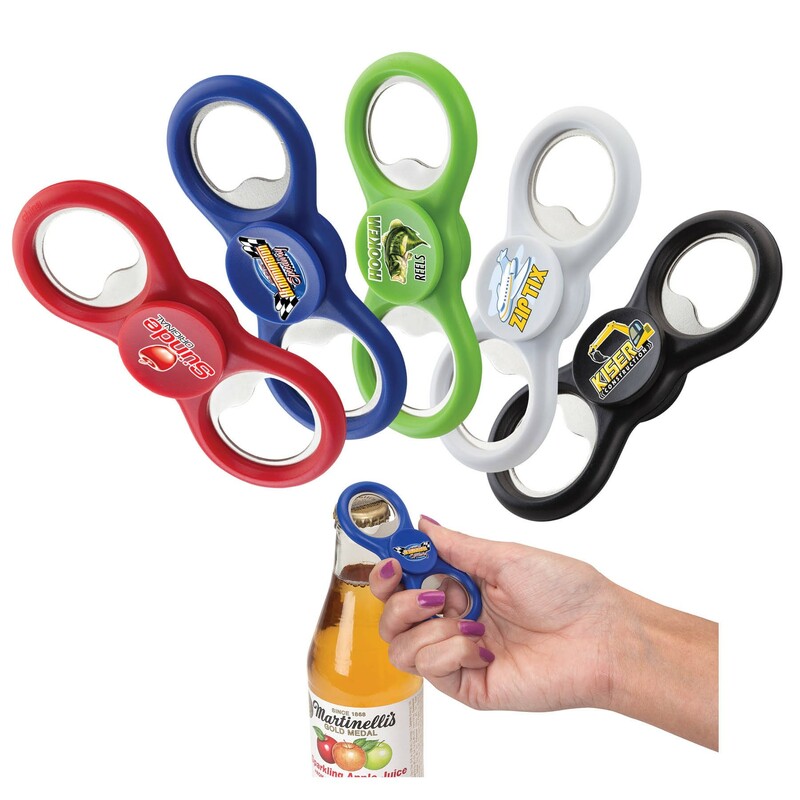 Contact us about your custom branded fidget spinner so we can help with all the details. Are fidget spinners popular with executives? Most of the fidget spinners that we sell are for offices and executives. Our custom metal and brass fidget spinners are a very class way to give the gift of fun, and, while they may not admit it, executives love receiving them! 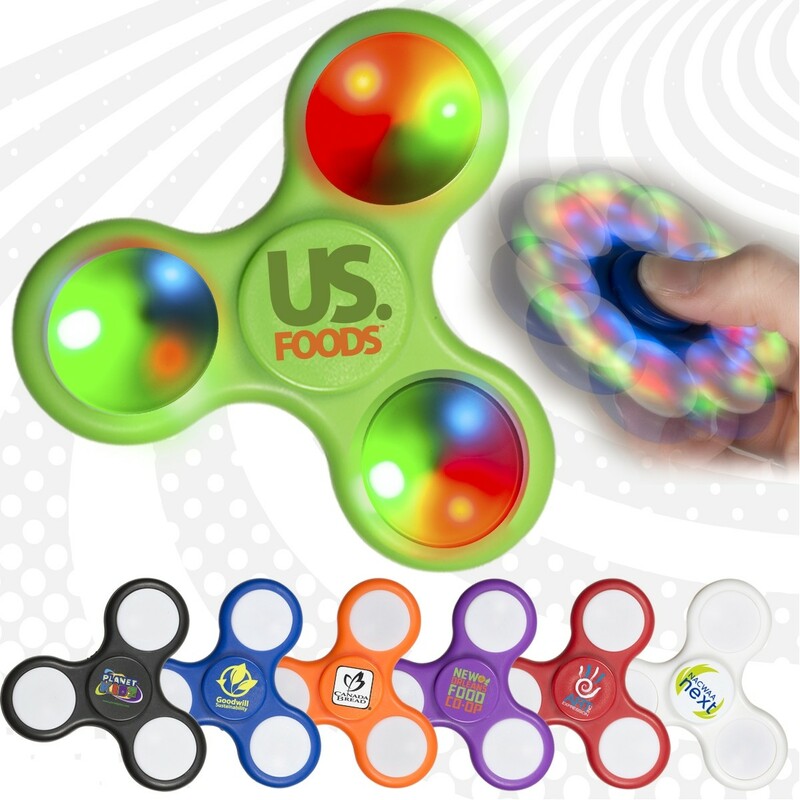 Printing your logo on a weighted, metal fidget spinner will guarantee your brand to be seen day after day!